Talkmobile customer services can be contacted on their UK phone number 0333 304 8064 for their SIM-only contract offers, for network coverage faults and to manage your account. Phone Talkmobile by dialling their customer care contact number 0333 304 8064 for their latest SIM-only contract deals, for technical support when registering a new number on their network and to upgrade your current handset. It is recommended that you phone this helpline for troubleshooting assistance if you are experiencing difficulties logging in to your online account, for instance if you have forgotten your username or password. If you are no longer satisfied with the minutes, data and texts allocated on your monthly tariff you can call this helpline to cancel your contract, however it is likely you will have to pay an early termination fee. Moreover you should call this helpline immediately to report your phone as lost or stolen so that they can prevent your handset and SIM card from being used in criminal activities. Lines are open 8am-7pm Monday-Friday, 9am-6pm Saturday and 10am-5pm Sunday although these may be reduced during bank holidays. Calls are charged at standard rates which means you will pay a per-minute rate as well as an access fee unless you get inclusive minutes on your landline or mobile tariff. Alternatively if you are a Talkmobile customer you can dial 5888 from your handset to contact customer services for free. 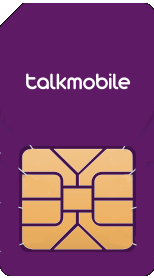 Talkmobile no longer pay as you go services as of 31st August, therefore you should phone their customer service contact number to ascertain how to switch onto a SIM-only tariff. Alternatively you can dial this helpline to transfer your number to a new SIM card by requesting a PAC code. Similarly you may have to unlock your handset prior to use on another network if you purchased it directly from Talkmobile. Phone Talkmobile customer care from abroad by dialling their international phone number +44 333 304 8064 to add roaming packages to your contract, to query a charge on your contract bill and to report a problem connecting to their network. Charges will vary according to which country you are calling from however they will usually be significantly higher whilst calling from overseas compared to local UK calls. Talkmobile recognise that customers may prefer to write to the provider with general enquiries and feedback about their services, hence they operate email and postal addresses to contact their customer service divisions. They also have profiles on social media websites where they advertise their latest SIM-only rates and call charges. Contact Talkmobile via their UK help website to send an email to their customer service team. Here you can also have a live web chat with an advisor, check network coverage in your area and their range of smartphones. Social media users can find Talkmobile profiles to view their latest smartphone sale offers, tarrif rates and SIM-only deals. You can also post public messages to their customer care staff via these accounts, however please do not including any sensitive payment information when using this service.